This dress is perfect for all your patriotic holidays! 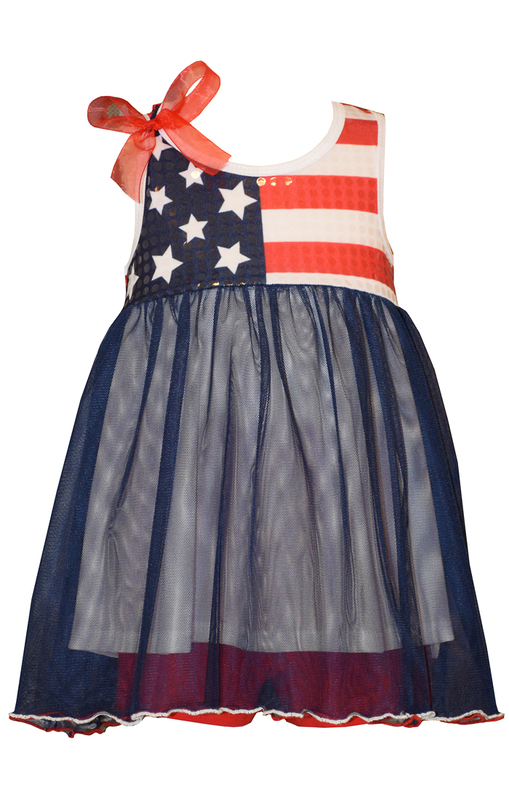 Your baby girl will be a star in this 4th of July Dress. White sequinned bodice with red star applique followed by skirt with a sheer navy overlay.